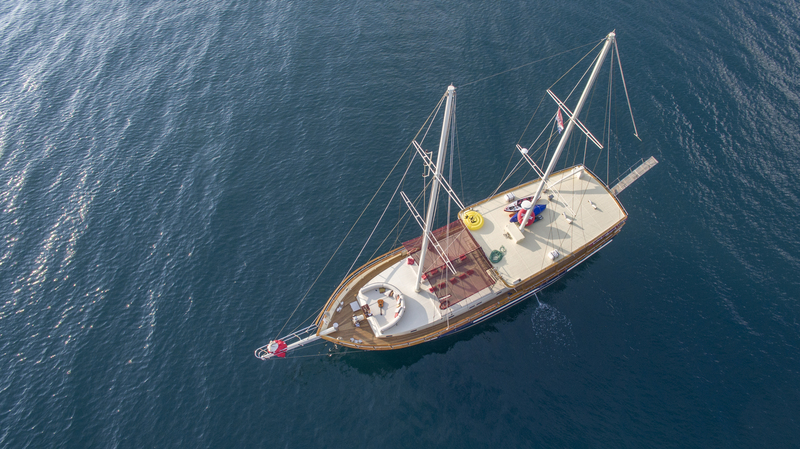 Gulet Andrea differs from other gulet: black color of the hull gives it a luxurious and glamorous look, but the interior exudes a homely atmosphere. The decks have almost all to enjoy in summer vacation: back is covered and contains a large table for 12 people. On the front deck you can sunbathe on a pink mattress, take a shower after swimming and eat Dalmatian specialties on the grill. Salon, also streaked with pink, has a large table, fully equipped kitchen and a television. For those who prefer the Internet, there is Wi-Fi. All six cabins, four of them with a double bed and two with twin beds, are air-conditioned and have a bathroom. With an experienced and professional young team, you can try surfing, canoeing and diving if you prefer the adventure. If not, our Adriatic and its islands offers you a whole lot more. Welcome!